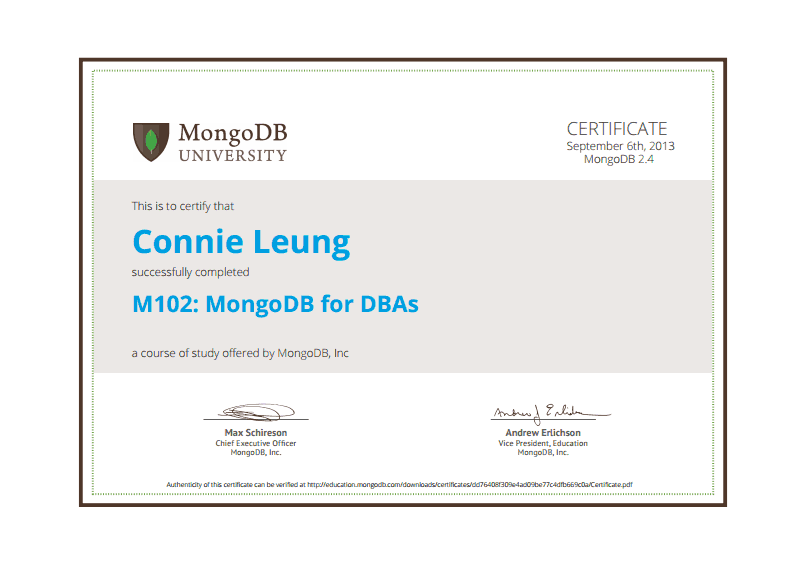 These courses cover the basic of MongoDB and equip me the skills to perform CRUD operations on a MongoDB collection. 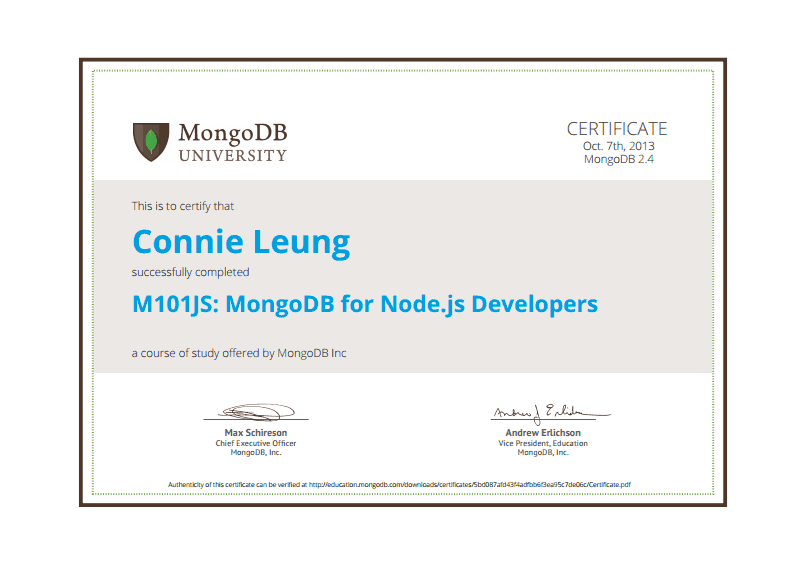 At the end of the course, I built a simple blog application using MongoDB as backend store. MongoDB supports many language drivers so client programs can conveniently call API to access data in it. 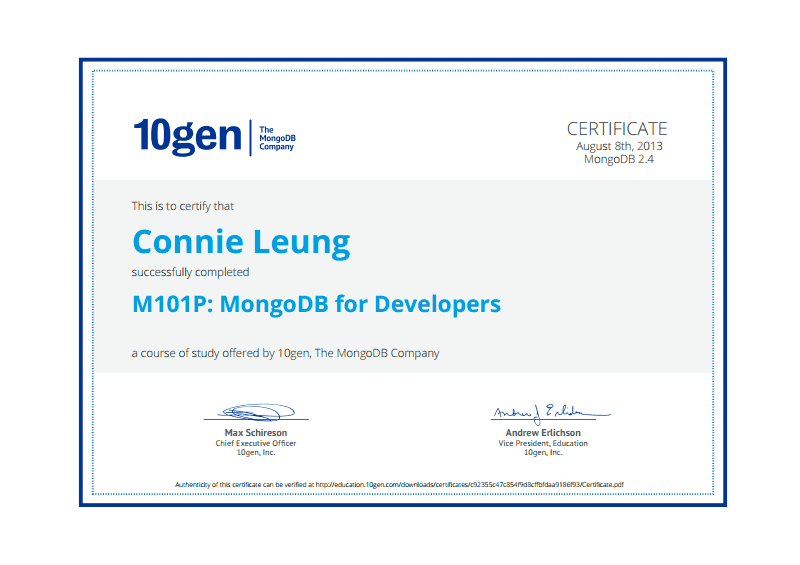 For M101P, PyMongo API is used to connect Python programs to MongoDB. 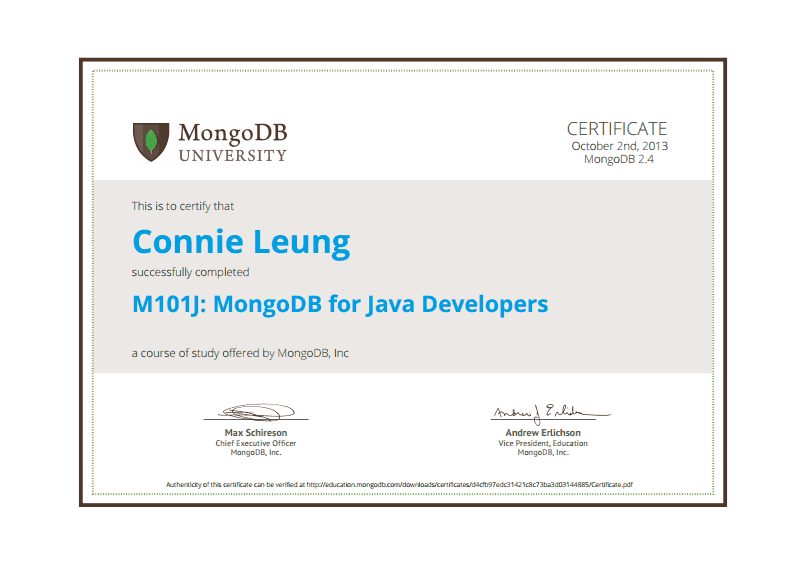 Similarly, M101J and M101JS use Java and Node JS API to connect blog application to MongoDB to store likes, posts, blogs and user accounts.